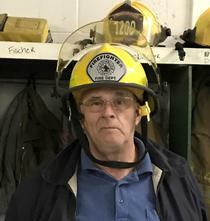 Wendell Ray Fischer, 68, of Proctorville, Ohio departed this life on Tuesday, April 9, 2019 at St. Mary’s Medical Center, Huntington, WV after a long battle with cancer. He was born June 21, 1950 in Huntington, WV son of the late Boyd Franklin and Alma Virginia Fischer. In addition to his parents, he was preceded in death by a brother Darrell Fischer. He is survived by his loving wife, Denise Simmons Fischer; daughters Angela Pearson and Elizabeth (Samuel) Rose; sons Shaun Simmons and Eric (Sarah) Simmons; brothers Larry (Sandy) Fischer, Danny (Claudia) Fischer, Billy (Carol) Fischer, and Timmy (Karen) Fischer; sisters Virena Elkins and Regina Fischer; grandchildren Ancil and Cornelius Lambert, Nicholas, Elijah, Judson Rose and Aiden Simmons; and many nephews and nieces. Wendell was a member of Faith Baptist Chapel, retired from the US Air National Guard and also a retired school bus operator from Cabell County Board of Education. He was also a member of Proctorville V.F.W. Post 6878 and Proctorville Community Volunteer Fire Department. Funeral service will be conducted 2 p.m. Sunday, April 14, 2019 at Hall Funeral Home and Crematory, Proctorville, Ohio. Burial will follow in Forest Memorial Park, Milton, WV. Visitation will be held 6 to 8 p.m. Saturday, April 13, 2019 at Hall Funeral Home and Crematory, Proctorville, Ohio. Condolences may be expressed to the family at www.ehallfuneralhome.com.